Watertech 2016 trade show will be the opportunity to present new technologies concerning water, water and solid wastes and innovation in solar energy. It will take place at New Delhi in India Friday 26 August 2016. 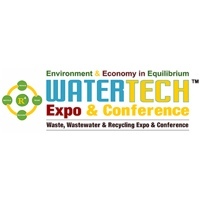 The Watertech trade show is an annual event dedicated to the treatment of water and wastes. It represents a main event in India. Indeed, this country because of its important population is particularly concerned by environmental problems. However, issues related to environment and sustainable development is more and more present in people’s mind and in different political decisions. In this context, this tradeshow appears to be a great opportunity in order to raise awareness and encourage a more responsive behavior. New technologies are indeed presented to treat water, sewers and wastes in order to encourage their adoption. Pioneering companies will be there to show alternative and innovative solutions. Among these technologies that can foster a more responsive development especially in water treatment area, ATMI company offers some products to measure the level of cleared and used water and solid levels.